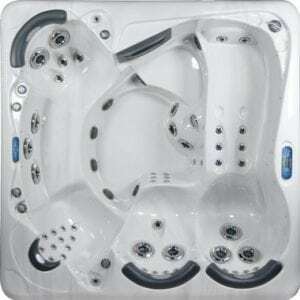 Alps Spas has been constructing high quality spas for over 20 years. We strive to produce a better product that meets the needs and wants of our customers. All of our spas are custom-built. We do not build stock and try to push old inventory on consumers; we let them choose a spa and build it to their specifications. Our manufacturing process is cutting-edge. We begin by using environmentally-friendly backing on our acrylic shells, steel frames with lifetime warranties, 24-hour water testing, and only the finest components. Whether you want a swim spa, a home spa, or an outdoor spa, we can deliver. We want our customers to get more than they expected and enjoy their spas for years to come. Stop by one of our dealer’s showrooms or just give us a call directly. You will be talking to someone that has years of experience in constructing spas. Please take some time to browse through our website and give us a call or email if you have any questions.